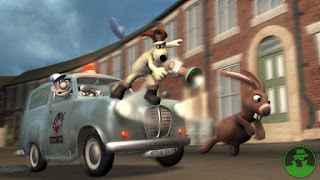 Wallace & Gromit The Curse of the Were Rabbit PS2 Iso free download For PCSX2 Pc and mobile Wallace & Gromit The Curse of the Were Rabbit apk android ppsspp,Wallace & Gromit The Curse of the Were Rabbit ps2 iso Sony Playstation 2,Based on the popular Wallace and Gromit series and DreamWorks feature film, The Curse of the Were-Rabbit is a tale of giant vegetables, terrifying lupine beasts, and inventions gone awry. 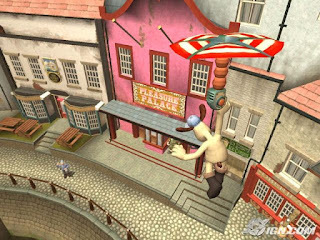 At the annual Giant Vegetable Competition, a huge, veg-eating beast starts to terrorize the neighborhood and is destroying the prize exhibits. 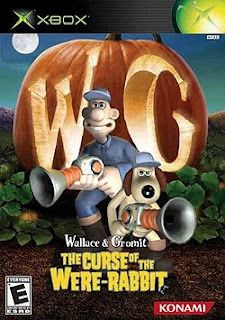 Wallace and Gromit are hired to save the day. 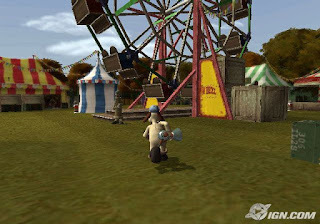 Konami’s videogame closely follows the events of the film, with players using cooperative modes to guide any pairing of Wallace, Gromit or their rabbit friend, Hutch, through four huge areas. Players are given free reign of the area as they attempt to solve the problems of the Giant Vegetable Competition. Their mission takes them from the seaside to suburbia as they venture out at night to confront the beast responsible for the vegetable-based carnage.Play as Gromit, Wallace, and Hutch and swap between the three on the fly to use their unique skills; a wide variety gadgets, including the Electric Screwdriver, Bunny Hopper, and Were-rabbit Decoy; watch the village pesky critters turn into ferocious were-beasts as day ends and night begins; fully Interactive environments with all kinds of gadgets to create hilarious mayhem.